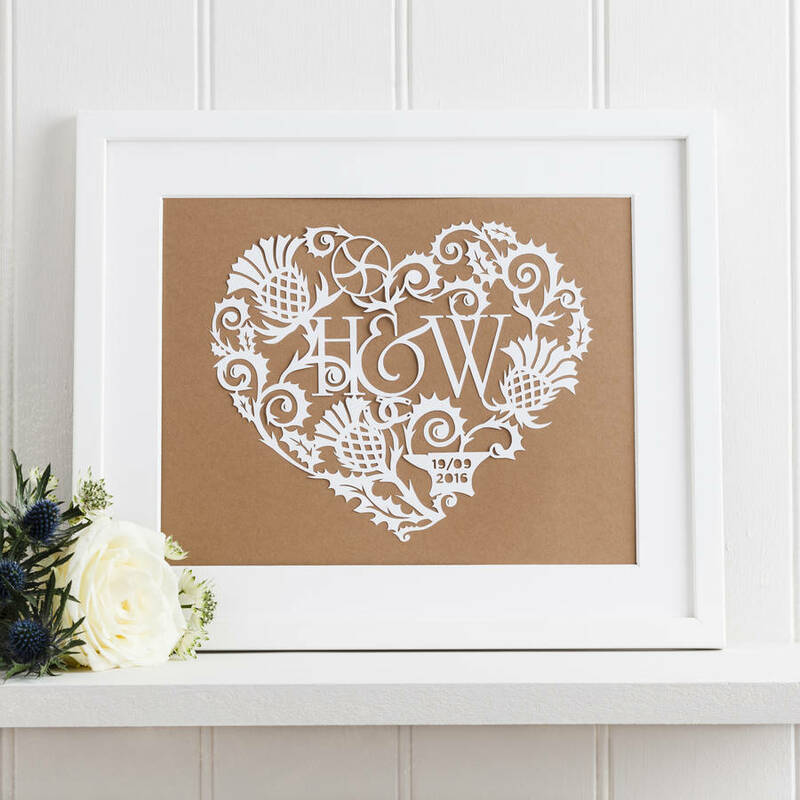 For your first wedding anniversary you are meant to give a gift of paper, and what could be better than this? 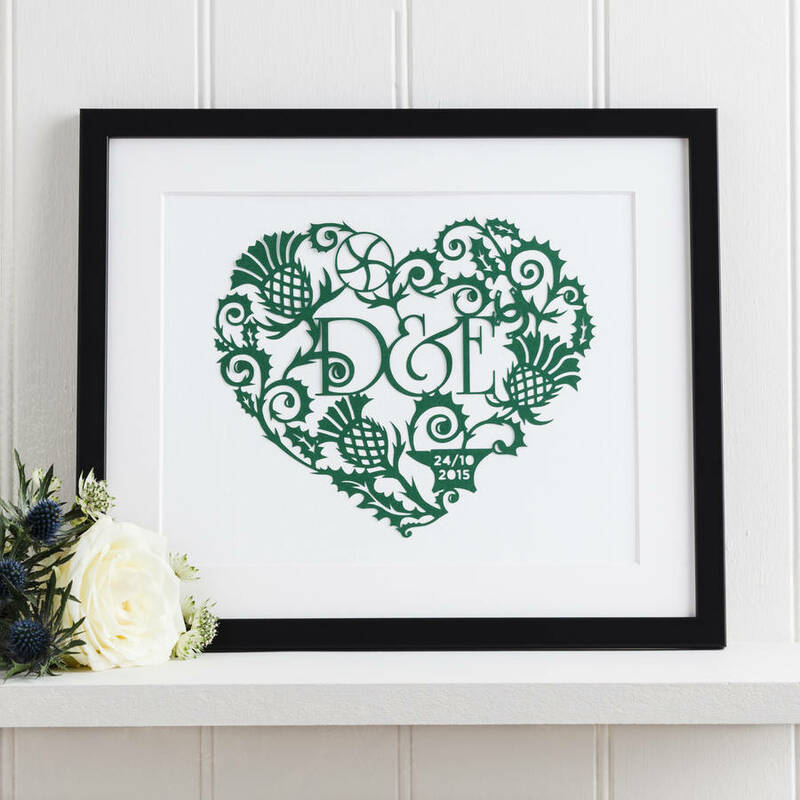 A stunning Gretna Green inspired papercut perfect as a wedding gift or anniversary present. The original cut was designed for a couple of friends of mine who tied the knot in a very special place, and I created this design to be a beautiful gift. 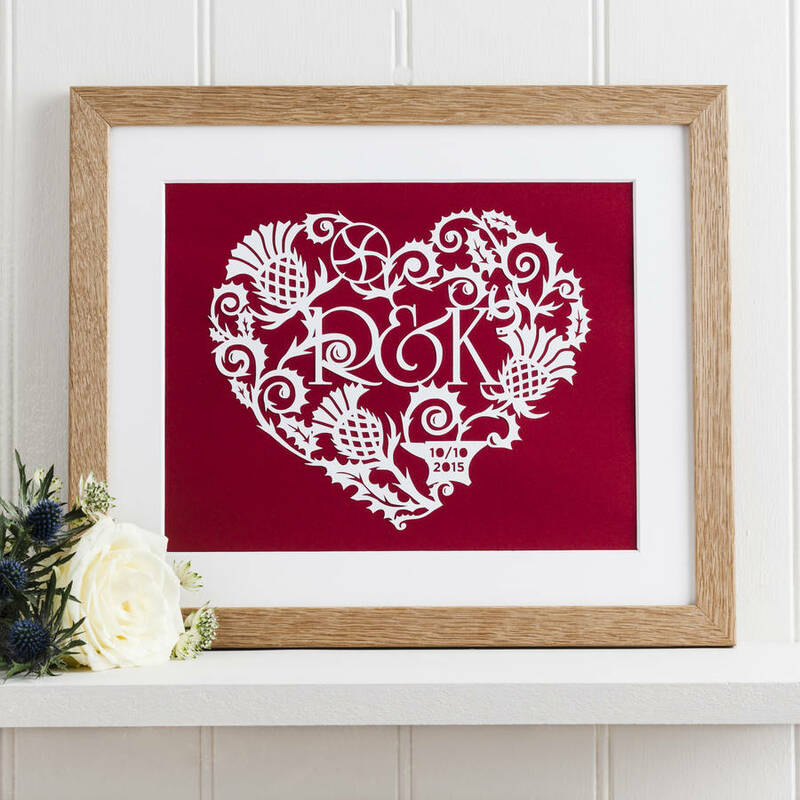 The heart of course is mainly made up of thistles (the traditional Scottish flower), with the bride and groom's initials entwined in the centre. The date of the wedding is cut into the anvil and, of course, can include the year also. I am very selective over the paper that I use, and this item will be made from paper with 100% recycled content. I tend to cut this design from white as it's the most popular but you can now choose to have a different colour. 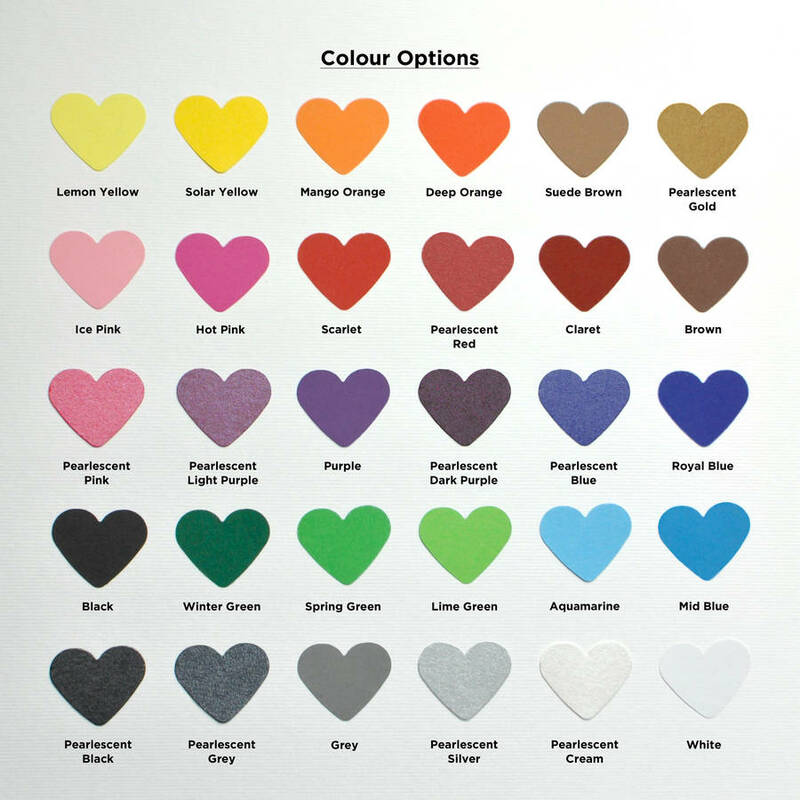 There is now a drop down menu of colours to choose from. Unframed 'Gretna Green' cuts are supplied tacked to thick recycled board and wrapped in a cello sleeve and posted in a board envelope to keep it secure. 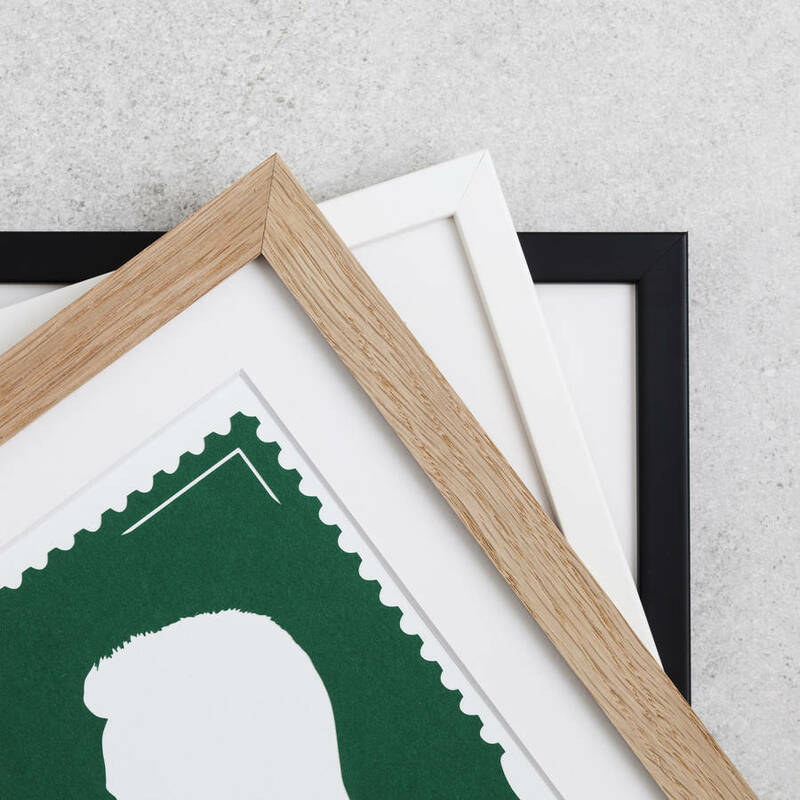 Framed 'Gretna Green" cuts are posted out in a foam lined box to make sure they arrive safely. 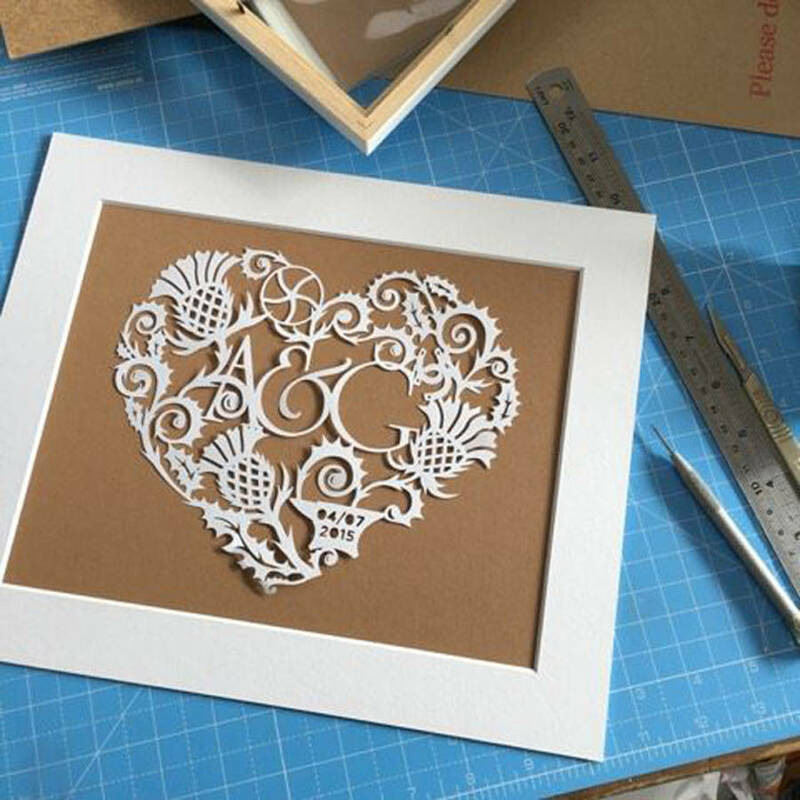 The paper cut is approximately 165mm x 195mm. If framed, it will be set within a picture mount and placed in a 10 x 12" frame (with glass). External size would be approximately W335 x H285 x D13mm.